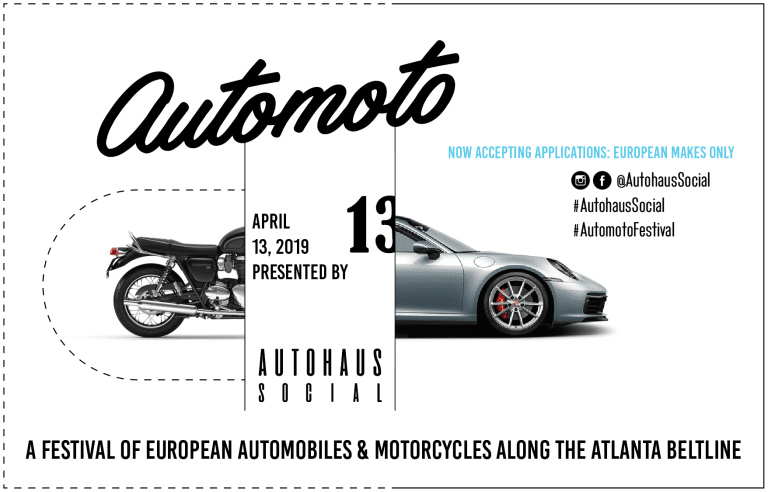 A festival of European automobiles and motorcycles along the Atlanta Beltline this April 12-14, 2019. WANT TO DISPLAY YOUR AUTO OR MOTO? WIN OUR GRAND RAFFLE PRIZE! Post a pic of your car on Facebook/ Instagram tagging @AutohausSocial #AutomotoFestival to be entered into our exciting raffle! Events will be scheduled throughout the weekend with the main festival on Saturday, April 13th. Details coming soon.